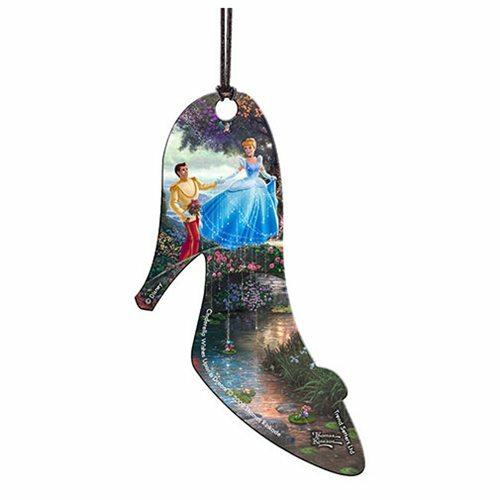 This magical Cinderella Wishes Upon a Dream Thomas Kinkade Hanging Acrylic Print in the shape of Cinderella's famous slipper should fit right in at your house! It features the former scullery maid and her Prince Charming and measures about 3 1/2-inches tall x 2 1/10-inches wide. Hang it in a window or on your Christmas tree, attach it to your bag or a present, or enjoy it as you wish!